Abusive Relationship Counselling Melbourne – We often fail to recognise abuse in intimate and close relationships. However, abuse and emotional behaviours by parents, close attachment figures and significant others is very common and can negatively affect the person physically, emotionally and cognitively. Often it can be difficult to understand where the safe boundaries of a relationship are and it’s not unusual for individuals or couples to enter therapy with a sense that something is just not right but they just can’t explain it. The work of counselling is to understand deeply what is happening in the relationship, and sometimes that can be learning what is and is not considered abusive. Whether your partner or parents use power and control to get you to conform, or emotional manipulation to undermine your sense of self, it is important to understand these behaviours and the impact they can have in order to find workable solutions to difficult circumstances. It may be that distancing yourself from these unhealthy relationships is the right approach, or there may be other ways around unhealthy or abusive relationships that create emotional safety and make your relationship less abusive. However, due to closeness of the relationships it is difficult for people to find a way to distance themselves and feelings of guilt can overwhelm you. Abusive Relationship Counselling Melbourne is designed for people who are constantly emotionally stressed because of the roller coaster ride that defines abusive relationship. 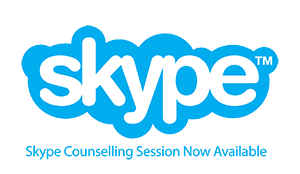 Due to the stigma and shame attached with talking about your friends, family or significant other in a negative way, it may be embarrassing to contact a counsellor to discuss your concerns. However, in order to live a healthy life and be highly functional it is important to have support so that together relationship patterns can be identified, abusive behaviours understood and how this impacts and strains your own wellbeing. Talking to a counsellor can help you find ways to take a stand against manipulation, and become empowered to stay in control of your life. So, if you feel like you might have been subjected to emotional or physical abuse in a relationship, contact us for abusive relationship counselling Melbourne and find a way to overcome the abuse. Please use the online contact form below to get in touch with us regarding booking enquiries for Abusive Relationship Counselling in Melbourne.